Makers Empire 3D software was conceived when Australian games designer Roland Peddie (left) noticed the creativity and problem-solving abilities displayed by video games players when customising game characters. After attending university in Adelaide, Roland worked at Ratbag Games, and then in Scotland with Realtime Worlds where he won a BAFTA for his work on the Xbox 360 title, Crackdown. While working on a PC title, All Points Bulletin, Roland became intrigued by the impressive designs that players created using the game’s simple design tools. Upon his return to Australia, Roland built an early version of the current Makers Empire 3D software and showed it to his then 4YO daughter, Ebony (left, above). Encouraged by Ebony’s response, Roland showed his software to university friend, Jon Soong (left). Jon had been working in software development at IBM, Internode and the Royal Adelaide Hospital and he was also a father. He immediately saw the learning potential of Roland’s software and showed it to his wife, an educator, who helped them organise a trial of the software with a class of grade six students. Their instincts were confirmed when they saw the quality and complexity of the designs the students were able to create with Roland’s intuitive design interface. Jon and Roland decided to set up a company in December 2013 to develop the software for the education market. They teamed up with Lap Leung (right, above), another Adelaide University friend, who had been working as a management consultant and developing his own consumer applications. The trio then met Anthony Chhoy (right, below) at an early pitch day. Anthony had just returned home to Adelaide after a successful decade working in London and Prague as the Executive Vice President of a large European media company. Married with three young children, Anthony had been considering investing in Makers Empire but he was so convinced by the company’s global potential and ability to make a difference to young students he ended up joining the team as the fourth co-founder. Thus, in 2014, Makers Empire was born. 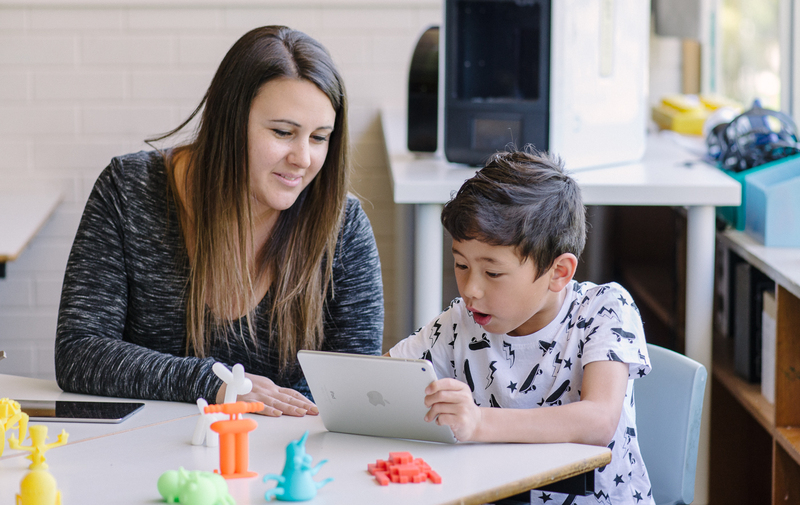 While early classroom trials showed that students responded enthusiastically to Makers Empire 3D software, results also showed that teachers weren’t sure how to integrate 3D design and printing into their teaching practice. Most teachers were new or fairly new to 3D design and printing and they didn’t have the time needed to figure out how to use the technology as a teaching tool. This meant classroom usage was likely to be intermittent and therefore much less effective in terms of improving student performance, learning and engagement. 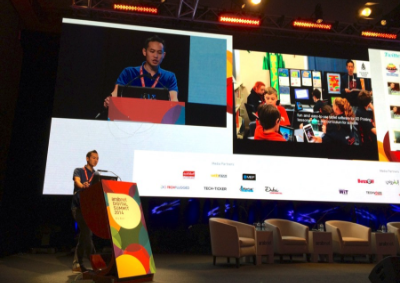 It was clear that Makers Empire’s 3D software would only achieve limited educational benefits unless teachers were supported by expert teaching tools, resources, professional development and training. Anthony then met Mandi Dimitriadis (right), an experienced classroom teacher and developer of curriculum for the South Australian Education Department. Impressed by her enthusiasm for learning with technology and her years of experience developing quality curriculum for classroom teachers, the company enlisted her to lead a Learning Improvement team. Mandi’s expertise would help ensure effective and efficient integration of 3D design and printing into everyday teaching practice. Over time, Makers Empire has evolved to produce a number of innovative solutions for primary, elementary and middle schools to help educators teach Design Thinking, STEM concepts and 21st century learning skills with 3D design and 3D printing. Our complete solutions include easy to use 3D software and 130+ lesson plans aligned to the Australian Curriculum, the American Common Core standards, ISTE Standards for Educators and Next Generation Science standards. To ensure successful implementation we provide professional development and training for teachers, a teacher’s dashboard for easy class management, a school-wide implementation plan, and ongoing support. All our solutions can also be bundled together with 3D printing hardware and accessories. Our products are continually improved by feedback and suggestions from our global teaching community so that they truly meet the needs of schools and teachers. Today, our team is based in Australia, America and Asia. Together, we work across time zones to ensure our global teaching community is always supported. Most of us are parents with pre-school or school-age children. All of us are passionate about the work we’re doing because we believe that we’re helping today’s students — and our children — gain the skills, mindsets and dispositions they’ll need to thrive in the future. Today, Makers Empire helps 10,000+ educators teach Design Thinking and STEM using 3D design and printing to over 400,000+ students around the world. Together, we’re helping to create a new generation of thinkers, creators and problem solvers. Join us. December 2013: Makers Empire was incorporated. 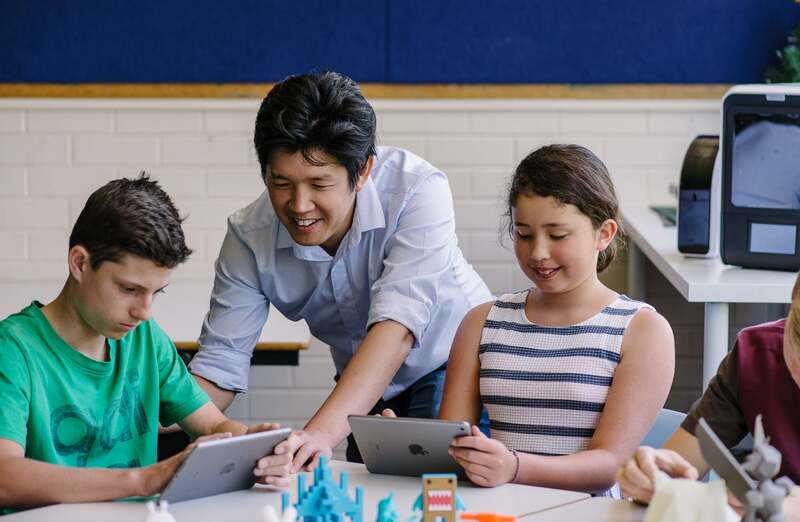 May 2014: Piloted the 3D Printing Learning Program in three South Australian schools. July 2014: Launched Makers Empire’s 3D printing learning program in Australia. November 2014: Makers Empire is a finalist at the IMS Global Learning Impact Awards Australasian Regional Finals, and wins the People’s Choice Award. December 2014: Launched Ollie Customizer in partnership with the global leader in connected play, Sphero. January 2015: piloted Makers Empire 3D printing learning program in ten New York State schools via a state-wide 3D printing pilot with the New York State Teacher Centers and the NYIT’s Department of Technology Based Learning Systems. February 2015: Won SouthStart’s Pitch Competition and Audience Favourite award. June 2015: Joint winner of the Start Up Company of the Year award at the SA IAwards 2015. June 2015: Finalist in the Mass Challenge global accelerator based in Boston, USA. November 2015: NewSchools Ignite Science Challenge Winner. December 2015: QS Stars/Reimagine Education Award Finalist. December 2016: Makers Empire 3D software used by 100,000 students. March 2017: Began phase 2 of the 3D printing in primary schools project with the South Australian Education Department, with fifty South Australian schools undertaking the Makers Empire Learning by Design Course, a ten-week blended professional development program for districts and clusters of schools. February 2018: Makers Empire receives a glowing, 5-star review in Common Sense Media. November 2017: Makers Empire is endorsed to provide NESA accredited professional development for teachers accredited at Proficient Teacher accreditation. Specifically, Makers Empire’s Learning by Design course will contribute 20 hours of NESA Registered PD addressing 1.2.2, 2.1.2., 2.2.2, 2. 6.2., 3.3.2., 3.4.2., 4.5.2., 6.3.2., 6.4.2. and 7.4.2. from the Australian Professional Standards for Teachers towards maintaining Proficient Teacher Accreditation in NSW, Australia. March 2018: Began Phase 3: Part One of the 3D printing in primary schools project with the South Australian Education Department, with fifty South Australian schools undertaking a ten-week, blended professional development program for districts and clusters of schools. April 2018: Makers Empire runs two introductory 3D printing courses for entrepreneurs, small business owners and teachers with the Entrepreneurship, Commercialisation and Innovation Centre (ECIC) at the University of Adelaide. May 2018: Almost 2 million designs have been created with Makers Empire 3D software! July 2018: Began Phase 3: Part Two of the 3D printing in primary schools project with the South Australian Education Department, with fifty South Australian schools undertaking a ten-week, blended professional development program for districts and clusters of schools. August 2018: More than 3 million designs have been created with Makers Empire 3D software! August 2018: For the second year, Makers Empire is again a key partner in the worldwide GE Additive Program, which saw 3D printers and 3D design tools, resources, curriculum, professional development and software provided to 600 schools around the world, including 100+ schools in Australia. September 2018: Mandi Dimitriadis, Director of Learning, is a finalist in the Winnovation Awards. 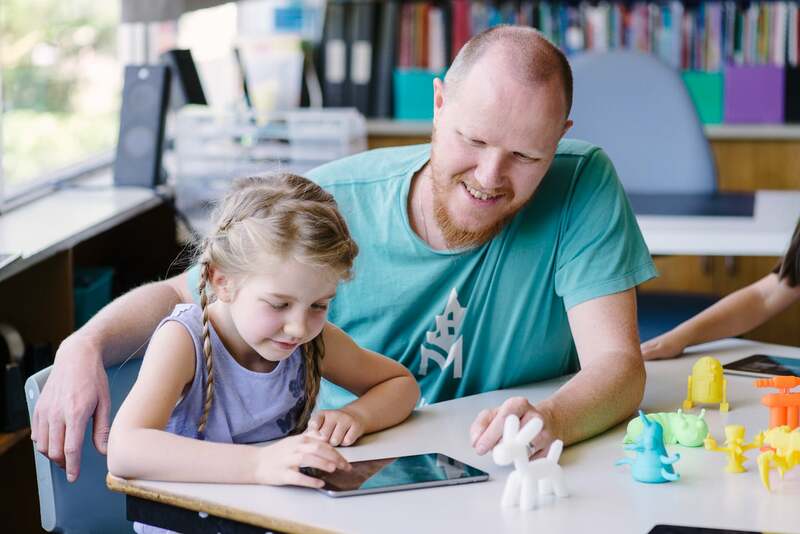 September 2018: Macquarie University’s research report on maker pedagogy and makerspaces in primary school settings studying teachers who undertook Makers Empire’s Learning by Design course is launched. The final reports — the report is available as both a full report and abstract and summary — shows the evidence of improved teacher confidence, the transformative approaches to teaching and student collaboration, and the teaching across the curriculum that results from the teachers using Makers Empire. October 2018: Makers Empire announces a new partnerships with Dubai based consultancy, Ibtikar, and the UAE Ministry of Education to deliver 3D technology to 235 UAE primary schools in 2019. October 2018: Jon Soong, CEO of Makers Empire is awarded a scholarship to the CEO Institute at the 2018 Impact Awards. October 2018: Makers Empire launches new 3D game creator, Maze Mania, in the new Game Zone. November 2018: almost 4 millions designs have been created with Makers Empire 3D software! December 2018: Makers Empire is second in Common Sense Education’s Best EdTech of 2018. December 2018: 4.4 million designs have been created with Makers Empire 3D software! December 2018: 60,000 mazes in Maze Mania game creator in two months. December 2018: 2,300.000 maze runs in Maze Mania game creator in two months. December 2018: 12,000 teachers and 500,000 students using Makers Empire!